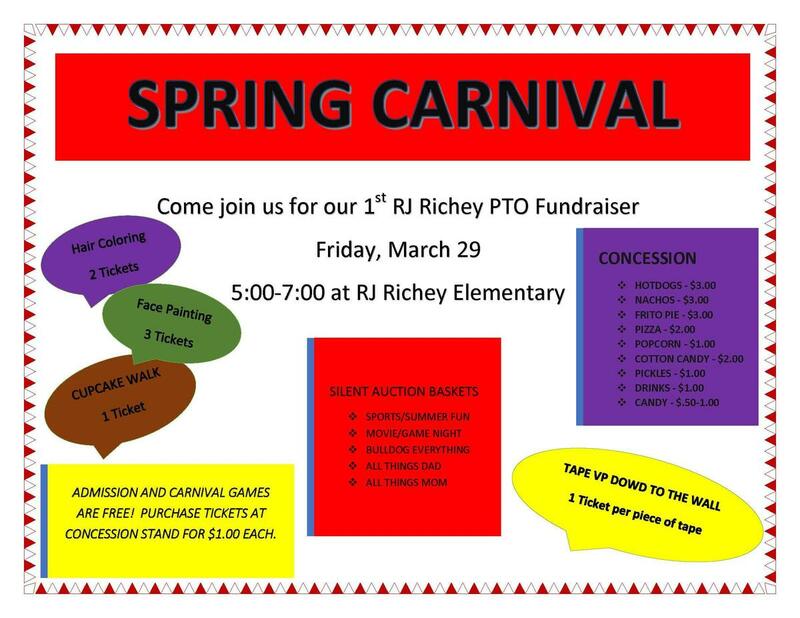 The R. J. Richey Elementary PTO is hosting their first Spring Carnival on Friday, March 29th. The fun event will be held from 5 - 7 p.m. at the R. J. Elementary Campus.